Our range of products include oil bleaching plants. We are one of the leading manufacturers, suppliers and exporters of Oil Bleaching Plants with a magnificent production capacity. First the oil is entered to bleacher through a bleaching heater where the oil is heated at a certain temperature and later discharged into slurry mixer. Later the introduction of bleaching earth under oil spray is done for improved mixing. 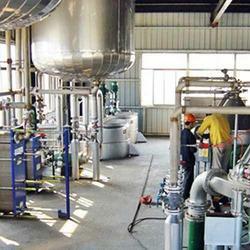 Looking for Oil Bleaching Plants ?